Because I enjoy working with iron on you may guess that one of my other favorite crafting tools is my EasyPress. 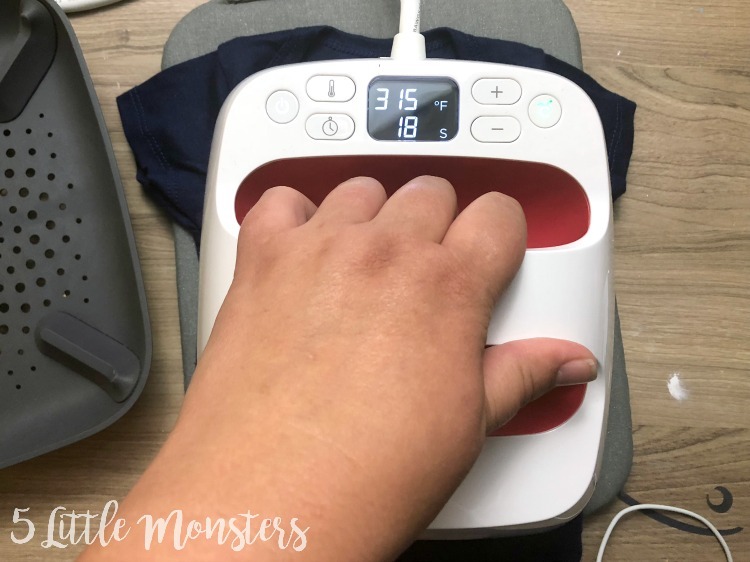 I had the original EasyPress and I loved using it, the EasyPress 2 has a few new features and comes in 3 different sizes. I have all 3 sizes and and use them all the time. 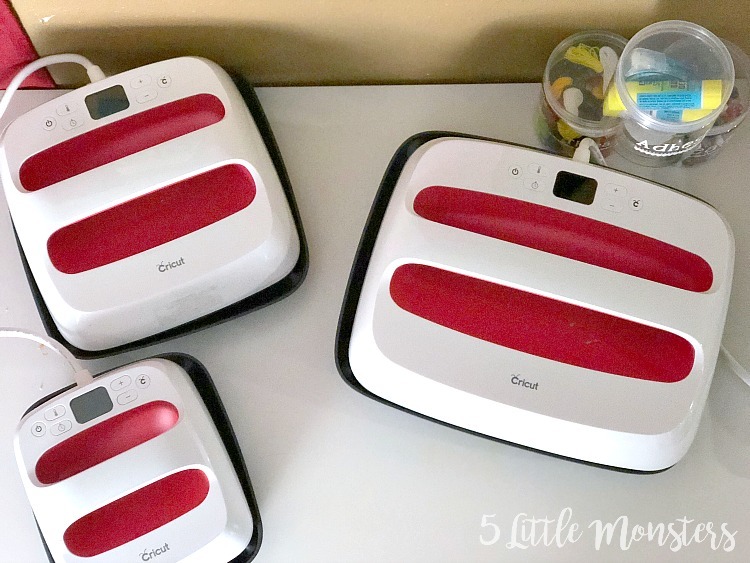 Today I am going to share my thoughts and answer a few questions you may have, including why you may want an EasyPress, and how to know which size is right for you. 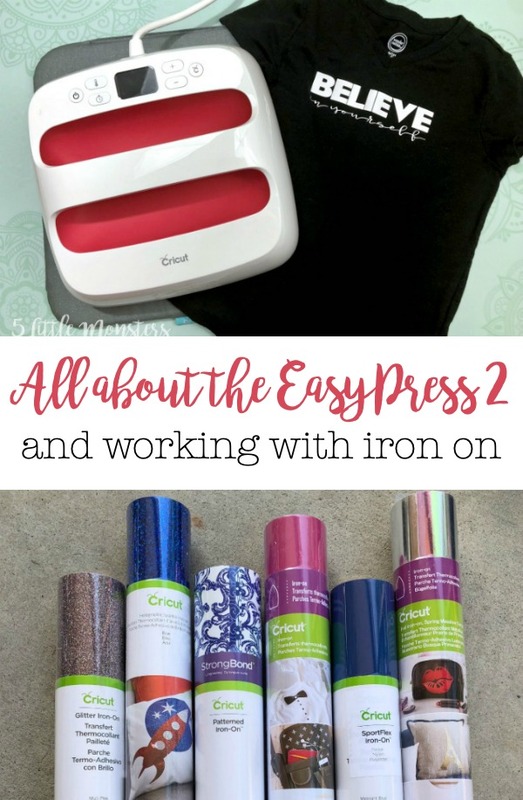 The first question you may have is why the EasyPress is better than a regular iron, or if you are going to spend the money on something like that why not get a big heat press? First, unlike a regular iron, the EasyPress has a large smooth plate that heats evenly from edge to edge. It doesn't have the steam holes that an iron has and it heats up to 400 degrees. I love that I can choose the exact temperature, rather than a fabric setting. The larger plate size also means that you can often press one time and cover the entire design, rather than pressing several small sections with an iron. 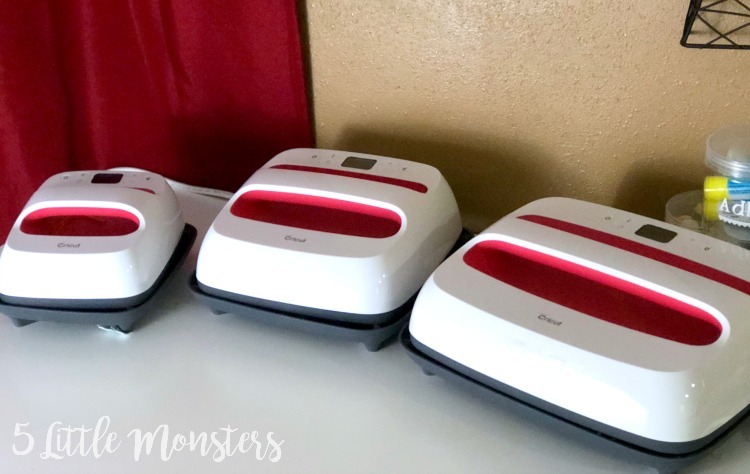 Heat presses are great, but it was not something I really wanted to have in my craft room and the EasyPress was the perfect solution for me. My issues with a heat press were #1, the size. They are really big and heavy and take up a lot of room, they aren't something you can put away and take out when you need it. 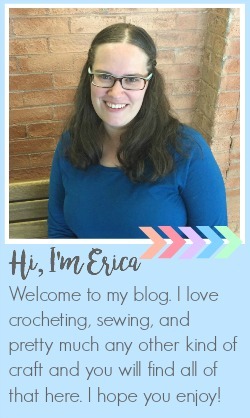 I don't have a huge craft space and store my EasyPresses on a shelf out of the way in my craft room. They are lightweight and easy to put away when I am not using them. This is also great if you want to be able to take it with you somewhere, like for a craft night. My second problem with a heat press was safety. Not that they aren't safe to use, but I have young kids and my craft area is in half of our family room so the kids can easily come in. The idea of having a big heavy press that heats up to 400+ degrees around little kids made me nervous. One of my favorite features of the EasyPress 2 is that it automatically turns off after 10 minutes of inactivity. Another great feature is that it heats up in only 1-3 minutes (the smaller size takes less time than the larger size) and then you press for usually less than 1 minute, and your project is done. Which size of EasyPress is right for me? Like I mentioned at the beginning the EasyPress 2 comes in 3 sizes. The original EasyPress came only in a 9"x 9" size. The EasyPress 2 also come in the 9"x 9" size, but it also has one size smaller, and one larger. The smaller size is 6"x 7", and the largest size is 12"x 10". The main thing to consider when deciding which size to get is what types of projects you do most often. The small 6"x 7" press is great for small projects like baby onesies, bibs, etc. If these are the projects you make most often then this is the size for you. The largest 12"x 10" size is perfect if you are frequently making large projects, like t-shirts with big designs on them, large tote bags, or big wooden signs. The medium 9"x 9" is great for medium size projects, or if you make a variety of sizes. It's not too big that it is awkward for small projects, but also big enough that it can easily press larger designs by moving it and pressing a couple of times. I feel like this is the most versatile and if you can only get one this it the size that I would recommend, unless you only make small or large projects. This is your standard iron on, available in a large range of colors, this iron on can be layered. 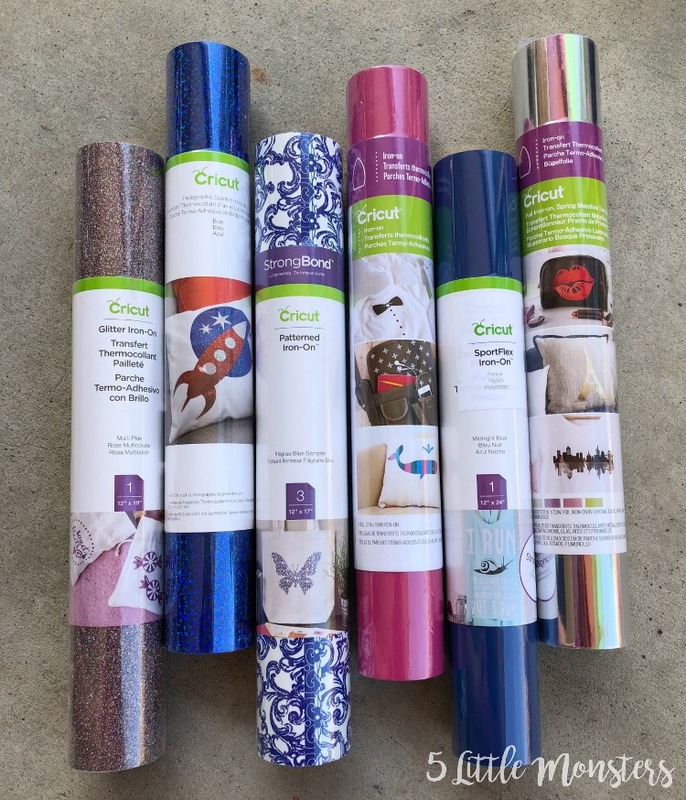 It is great for just about any project, use it on t-shirts, bags, pillows, and more. 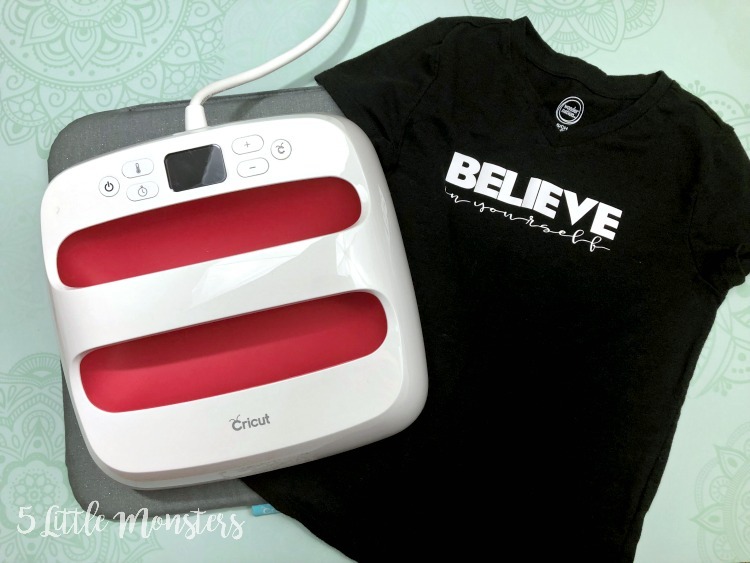 Definitely the iron on I use most often and the iron on I would recommend starting with if you are new to working with iron on. This iron on is glittery and sparkly. I love to use it on projects for my little girls, it is a fun texture and can also be used in just about any project. It is a little thicker than the other types of iron on and you can't add any layers on top of glitter iron on. You can use everyday iron on as a base layer and put glitter on top. It also makes a great accent when combined with everyday iron on. Like the glitter iron on this also adds a fun sparkle and shine to your project. Unlike the glitter the texture is smooth. You can not layer on top of holographic iron on but you can use it as a top layer on top of everyday iron on. Patterned iron on is really fun to use. It comes in sampler packs with 3 patterns in each. My favorites are the Natalie Malan watercolor samplers. Like most of the others it should be used as a top layer only. Foil iron on adds a nice shiny element to your project. It should also be used only as a top layer. Sportflex is a special type of iron on made to use on stretchy fabrics. It is great for sports jerseys and athletic wear. The iron on is stretchy so it will stretch with the fabric rather than pulling and wrinkling. One last option is pre-made iron on designs. There are lots of different designs in a variety of sizes. They can be used on shirts, bags, pillows, and more. 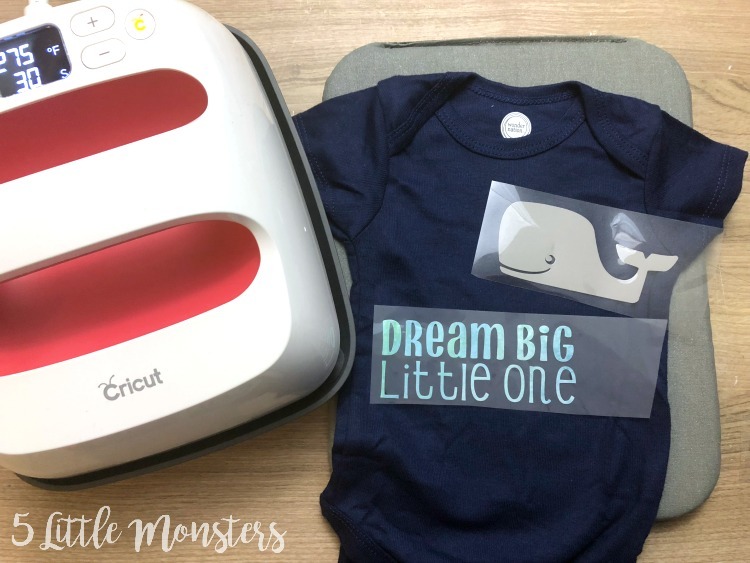 You don't need to cut them out or use your Cricut in any way. Which material should I use for my project? How do you choose which material is right for your project? Most of the iron on types can be used on most fabrics. The biggest exception to this is SportFlex, which is specifically made for stretchy, athletic fabrics. You can see a chart HERE that shows which products are recommended for different kinds of fabrics. Each type of iron on is a little bit different and you need to make sure you are pressing it at the right temperature and for the right amount of time. This will depend on the type of iron on you are using, and the material you are pressing it onto. 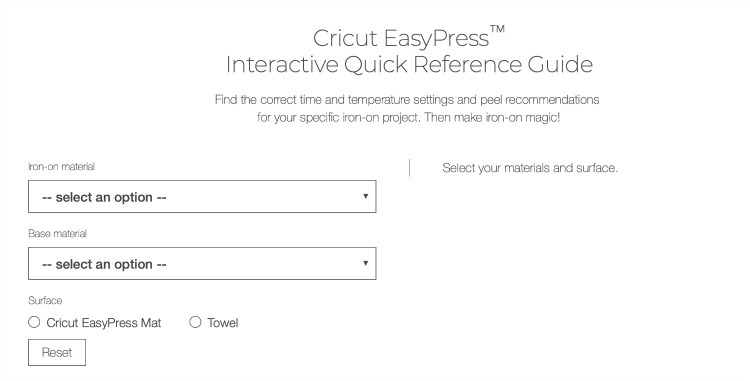 It is really easy to find the right settings using this interactive chart. Just enter the type of iron on you are using, the material you are pressing it onto, and the surface you are pressing on. It will tell you exactly how long to press and what temperature. It will also tell you if it is warm peel or cold peel. Warm peel means you can peel off the clear transfer sheet while it is still warm. If it is cold peel you need to wait until it has cooled completely before peeling. Hopefully this helps answer any questions you may have. If you have more questions about the EasyPress or about working with iron on let me know and I will try to answer them.